A quick post before I head off to bed. 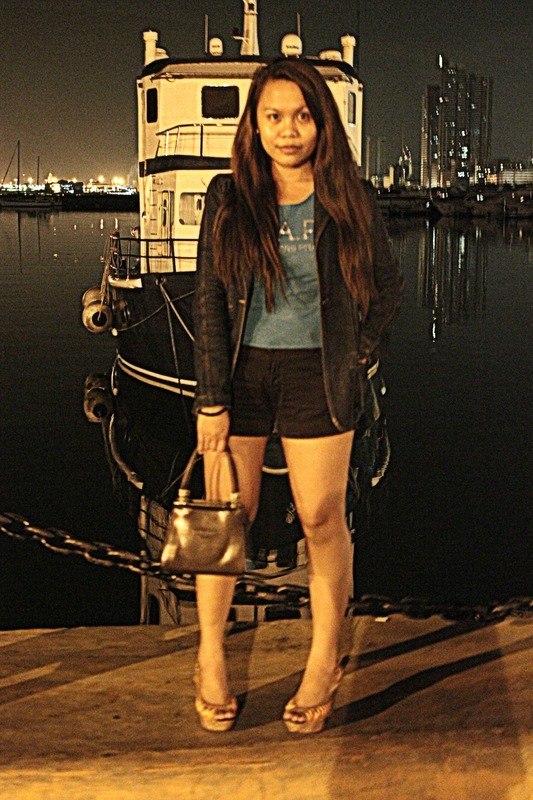 Here’s what I wore to a late Sunday chill-out time at Harbour Square. 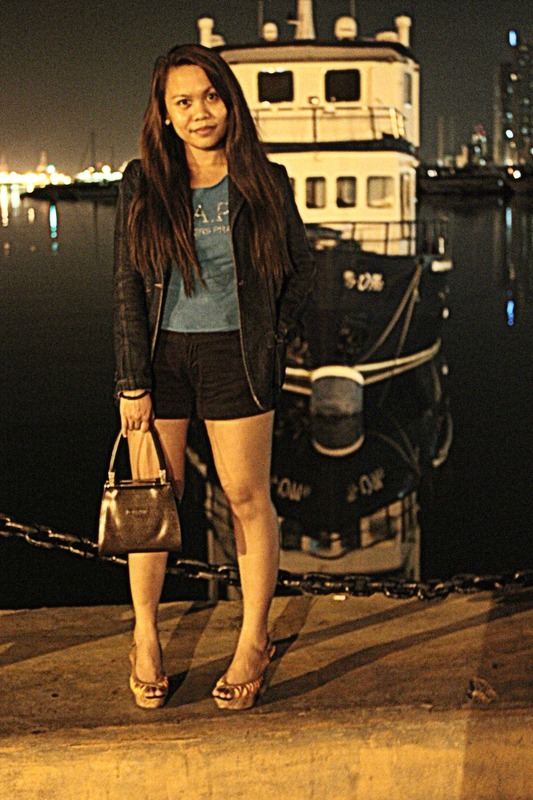 Thrifted denim jacket from an Ukay Shop, Random Top and Shorts, CMG Wedge Sandals. It’s definitely getting colder and I’m actually looking forward to Christmas. Great things are coming up! This entry was posted in Fashion, Outfit, Personal Style, Travels and tagged CMG, Fashion, Lit Tabernero, Outfit, Photography, Streetstyle on October 26, 2011 by STYLELITSTIC.